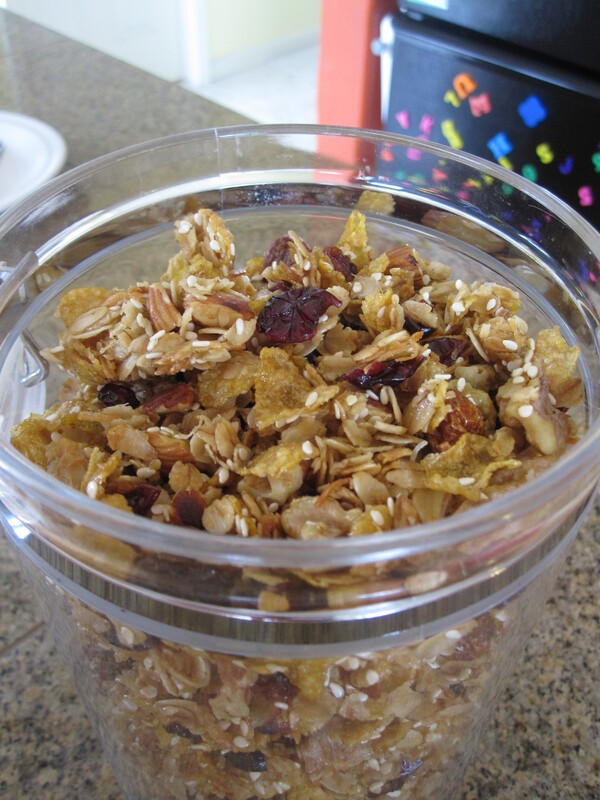 This is the first time I tried making granola, and it yielded more than I expected…a little of everything does add up. It’s is very easy to make and now I know how to make it, I realize how much I have been paying for the store bought ones– way too much! The ingredients are very versatile pretty much including grains, nuts, seeds, dried fruits and even citrus zest too. Preheat oven to 325°F. Combine all dry ingredients (except dried fruits) in a large bowl. Stir honey,oil/butter and vanilla extract in a small saucepan on medium heat until frothy. Drizzle syrup over dry ingredients, stir to coat well. Transfer mixture to a large baking pan, spreading evenly. Bake for 25-30 minutes until golden brown. Stir every 10 minutes during baking. Remove from oven and stir in dried fruits. 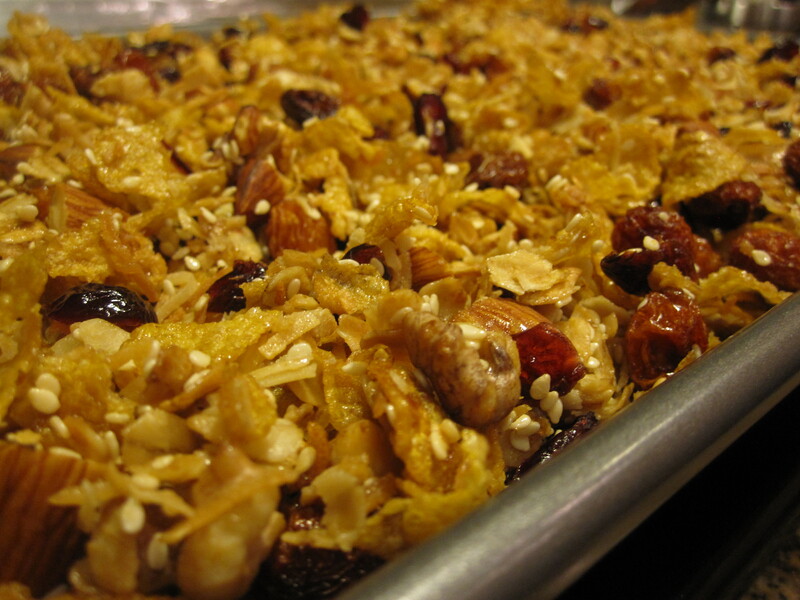 Cool granola completely in the pan on the rack (granola will crisp up after cooling). Store in airtight container. Keep up to 2 weeks. I added too much oats and cornflakes this time. I think the proportions of oats and each type of nuts is 1:1, and 1/3 cup for each type of seeds (sesame seeds, sunflower seeds, flaxweed etc) will bring a nicer balance of texture and flavor.